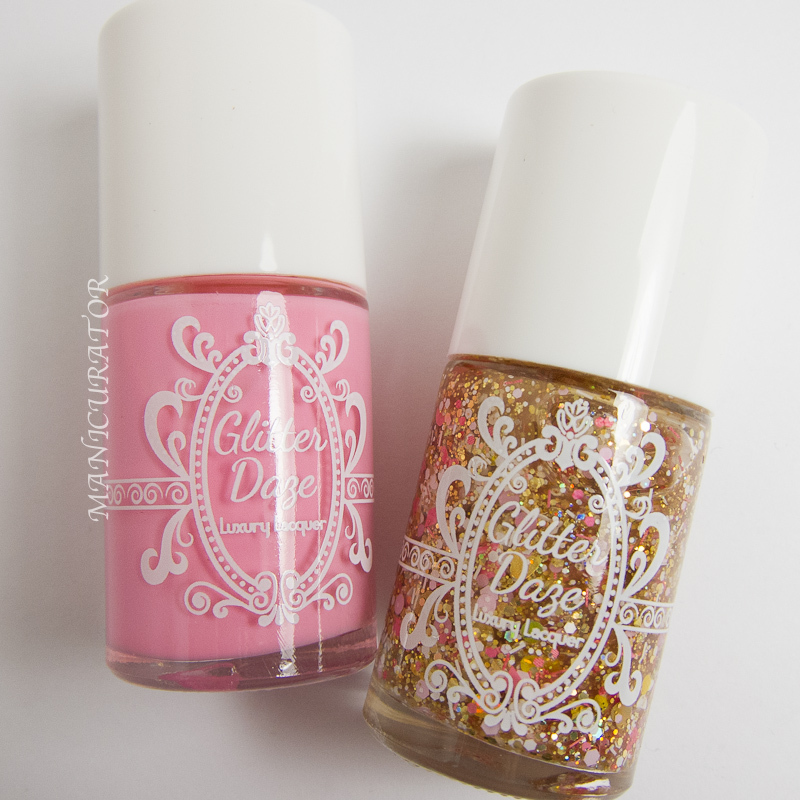 GlitterDaze LE Birthday Duo Swatch and Review plus Giveaway! Proud to share in the celebration for GlitterDaze turning two! 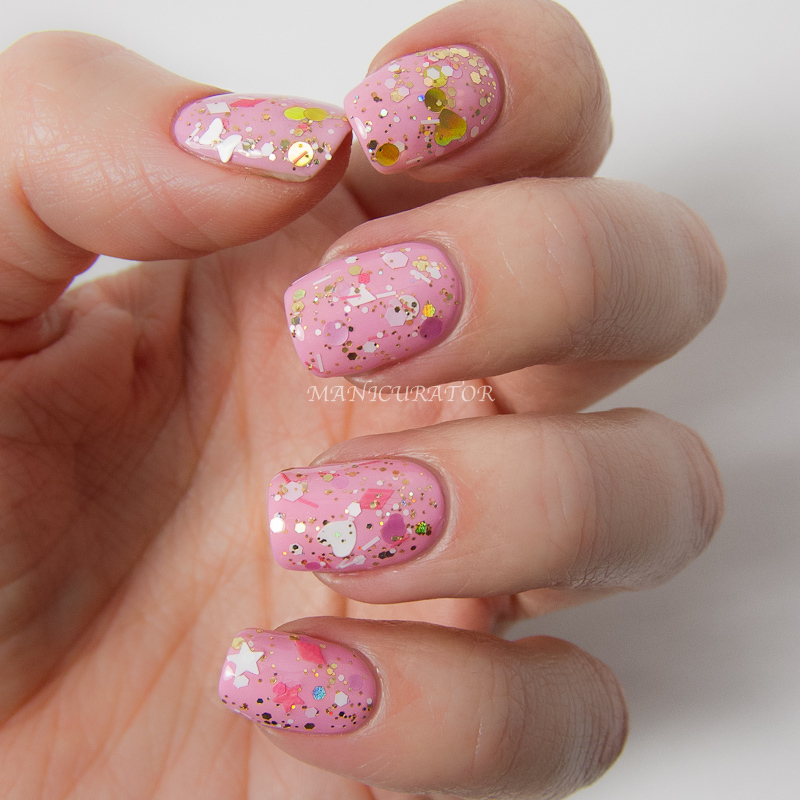 I became a fan of GlitterDaze from their very first collection and my blog's birth happened a month after! 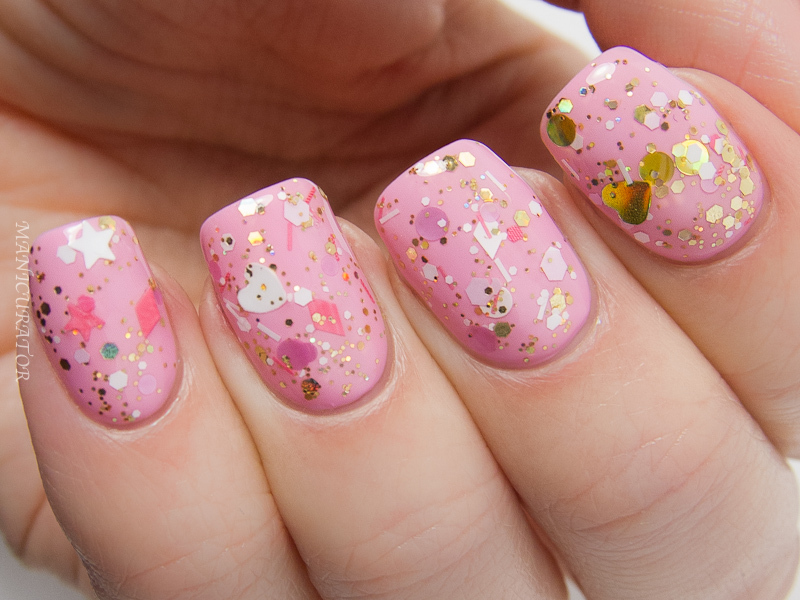 In fact, I had swatched the first collection and wanted it to be my first post on my brand new blog BUT I just wasn't that good back then and I knew I wouldn't do justice to the polishes so I never posted those photos! 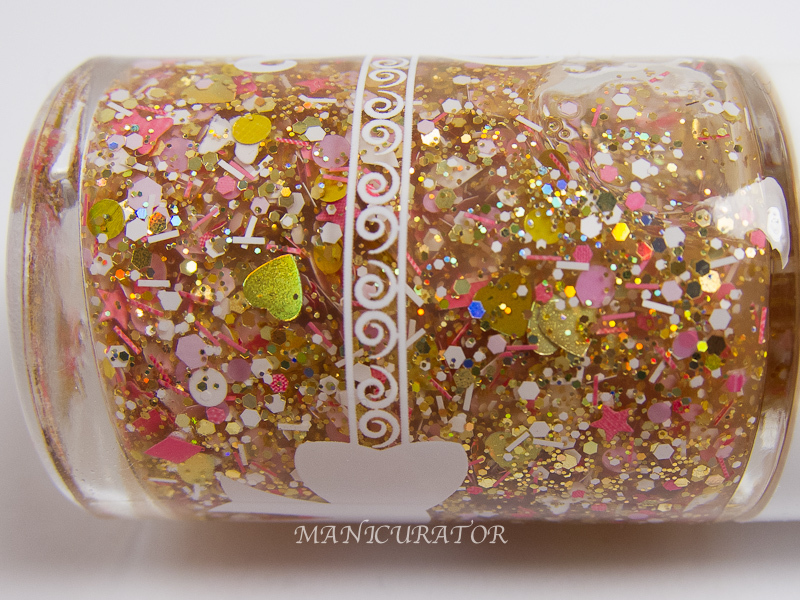 How far we've come :) So I'm honored to be able to show you the Birthday Duo polishes GlitterDaze created, and take a look at all the good stuff they have going on for the Birthday month after the jump. 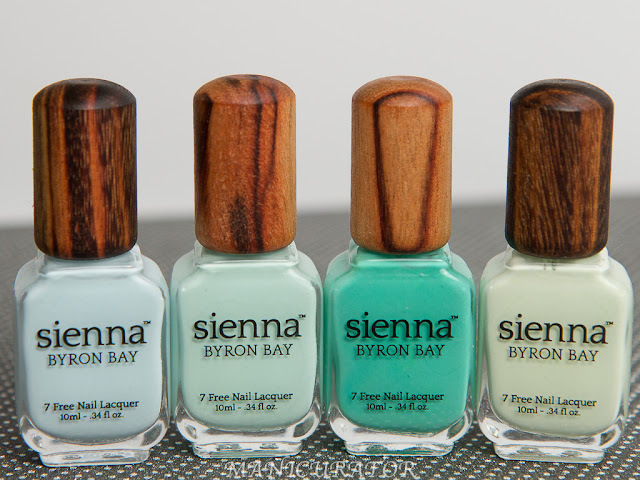 AND take a few minutes to enter the rafflecopter giveaway to win 3 mystery polishes! 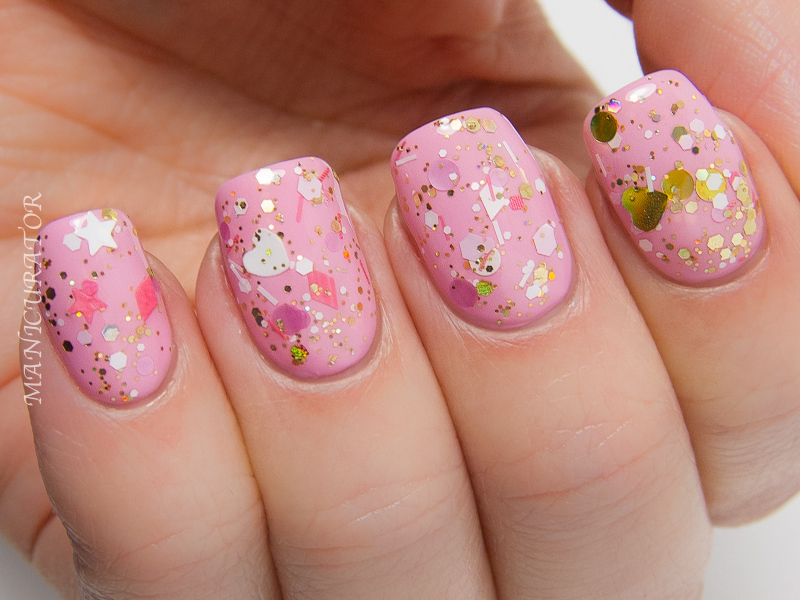 GlitterDaze Terrific Twos - a bubblegum pink creme. Love this fun shade but application wasn't the best. This is 3 coats and if I weren't topping it with dense glitter I'd probably go for a 4th coat to get it opaque. Although the formula was easy to use and glided on well, coverage was a bit streaky and left some bald spots. But, if you are patient the payoff is good! Another issue of note: I wore this for two days, with the glitter topper. 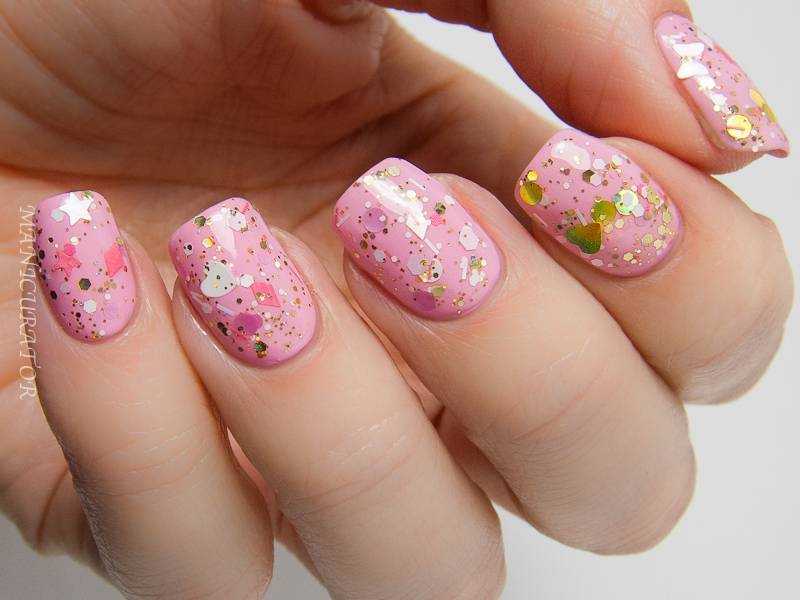 I used KBShimmer base coat and Seche Vite top coat and when I removed there was heavy pink staining. I haven't heard the others who swatched it (Pointless Cafe, Samariums Swatches and The PolishAholic) experience that problem so perhaps it was just the combo that I used didn't agree. I'm already brainstorming what shade I what to wear under this one next! What do you think? Birthday Bow-nanza is $11 Terrific Twos is $10 Purchased together they are $18! I love your new shape MUCH better!!!!! And I'm really liking that bubble gum pink... :D Thanks for the generous giveaway! The bubble gum pink looks absolutely amazing! I usually veer away from pinks because whenever I pick up a shade of pink I think it looks gaudy DX but this shade looks amazing! And I love the glitter topper! It's so pretty! Love the combination of the two! 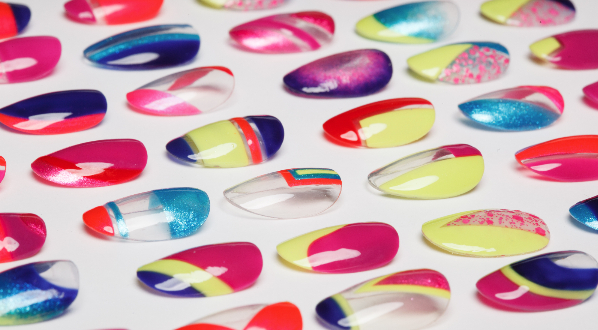 Your new nail shape is. amazing. Aw thank you so much!! :) It's a very happy pink for sure, and I agree, they look great together! But you're passing it along! :) And you are always generous with your information and words. Have a wonderful day!